Veil Cream Cover Cream featured on Katie Piper’s Face to Face on Channel 4 and we couldn’t be happier with the result. Last night the inspirational Katie Piper’s Face to Face aired on Channel 4. 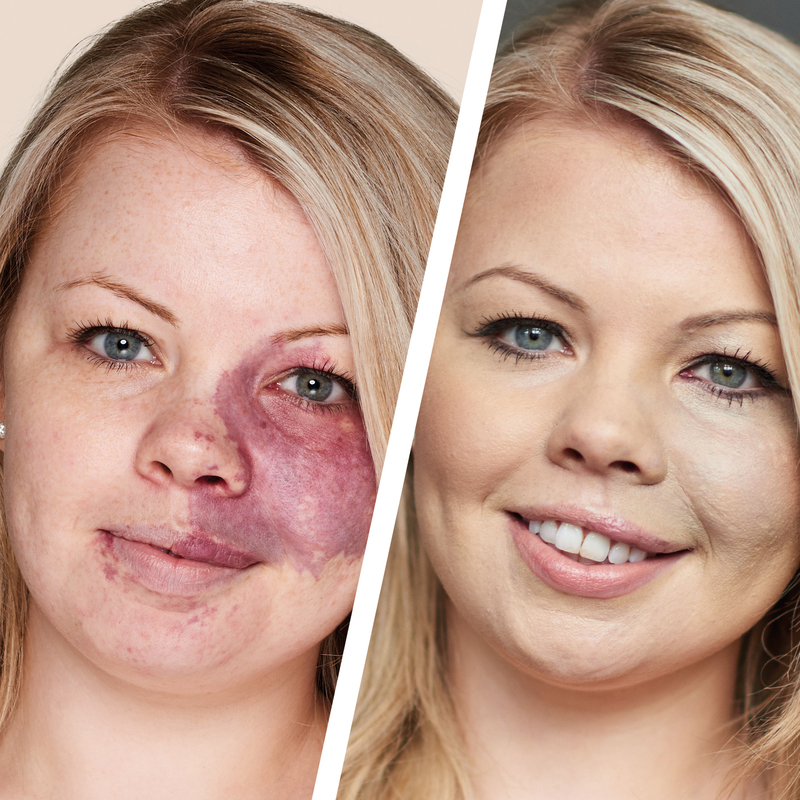 The hour long programme saw women who have been diagnosed with skin conditions invited to London’s Harvey Nichols for beauty makeovers. It was only after the women had completed their transformation that they discover that the make-up artists and beauticians who have treated them also share the same condition as them. The show addressed various skin imperfections including vitiligo, eczema and fellow acid attack survivors, and eagle eyed viewers may have spotted our Cover Cream make an appearance on one of the makeovers! One of the make-up artists featuring on the show was Amy Elsegood, who you may recognise from our website. Amy has been a loyal customer of Veil for many years and uses our Cover Cream to camouflage her port-wine stain birthmark. During the show she worked her magic on Lisa, who also suffers from birthmark very similar to Amy’s. The feedback we have since featuring on the show has been amazing, and we’re so happy that we could be a part of Lisa’s transformation! Did you watch the show? What did you think? Tell us in the comments!